UBC’s Board of Governors has approved domestic and international tuition and fee increases — albeit by the smallest majority in recent years. 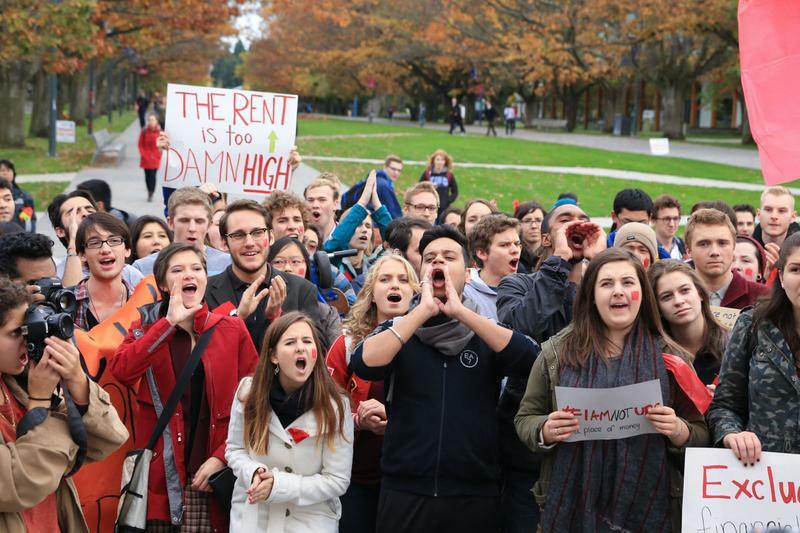 At today’s general meeting, 8 out of 21 Board members voted against domestic increases, with UBC Vancouver student member Jeanie Malone and recent provincial appointee Alison Brewin joining the six members who had already indicated their opposition at the November 26 committee meeting. Notably, this voting record on domestic tuition marks a complete opposition from all six student and faculty representatives. Provincial appointees Brewin and Bill Sundhu’s votes also mark the first time in recent years provincial appointees have voted against. Malone and Brewin also went against international increases, raising the number of opposing votes to 5 out of 21. Last year, only two Board members — both faculty representatives — voted against the annual tuition increases. During an intense discussion about the financial strain that increasing numbers of students face, several Board members raised a recent Ubyssey series that looked into the issue of food insecurity at UBC. Faculty representative Dr. Nassif Ghoussoub recently published an opinion piece in the Georgia Strait that outlined why he would vote against the increase, citing the series as one argument. “We are not content that [the stand of faculty and student representatives] be considered as the usual symbolic gesture to be drowned out by the majority of government-appointed governors,” he wrote. Smailes noted that most of the increase is from international tuition. The total revenue is distributed around the university. If we look at the funding source, our funding grant from the province and domestic tuition are not keeping pace with inflation of just under 4%. Szeri: Anticipate inflation of costs that UBC has to bear and there is long list of items that require $ like Strategic Plan implementation, space upgrades, WorkLearn program expansion, etc. The 2018 AMS Academic Experience Survey found that in the last few years, there has been a significant increase in the percentage of students experiencing hardship related to tuition and other expenses. The AMS itself opposed tuition and fee increases for both domestic and international students. With this vote, domestic tuition will go up by two per cent and international tuition will go up between two and four per cent starting next school year.